Guideline Laxa Loft Jacket. A light, practical and warm jacket wich has many uses. 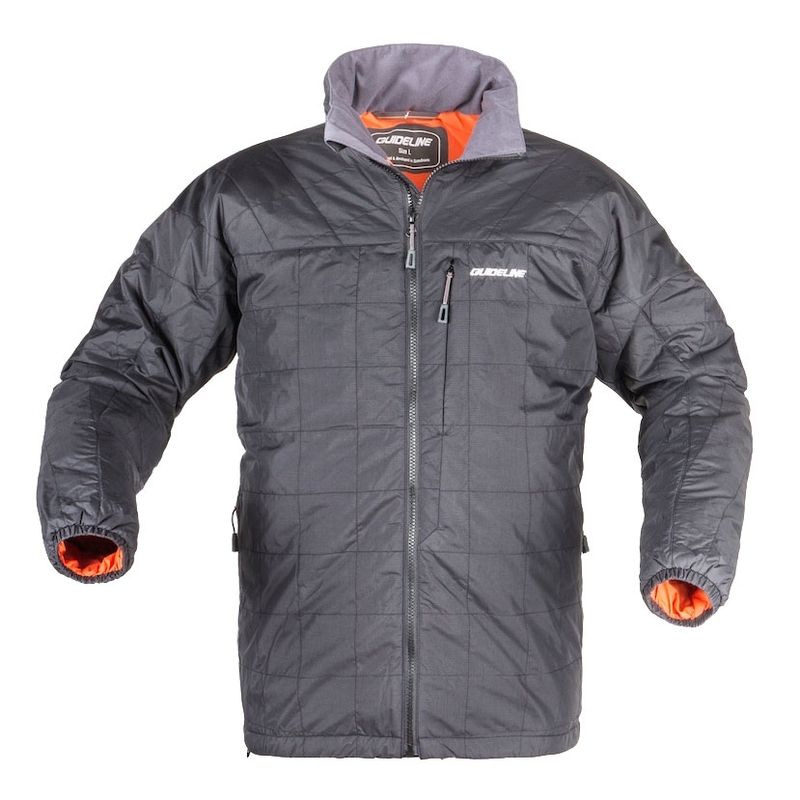 Wear it as your everyday favorite, or as a mid-layer under your wading jackets when things get rough and cold. The main 40D Rip Stop Nylon fabric is lightly water-resistant and has a high breathability. It is also a fraction stronger and heavier than most fabrics you’ll generally find in these kinds of garments. It prevents damage from wader- or wading jacket zippers and simply makes it more durable. Laxá is filled with a 60gr polyester insulation that has a great combination of loft, compressibility and thermal efficiency. The inside lining is also from 40D Nylon and has an attractive “Dynamite” contrast color to the outside colors offered. There is a concealed zippered chest pocket and two larger zippered side pockets. Arm cuffs are elastic and the high, snug fit collar is fleece lined for added comfort. The hem is adjustable and all zippers are YKK, including the main Vislon™ zipper. Face fabric and lining: 100% Nylon Rip Stop. Well made jacket. Bought the large size and it is a close fit compared with other jackets of the same size. an ideal fit for me . not too short and sleeves not too long. light in weight .... for fishing it will be used by me as a mid layer under a jacket .i would say good looking enough to be used as a casual everyday light jacket from autumn to spring ! priced (£60) about right in the sale .